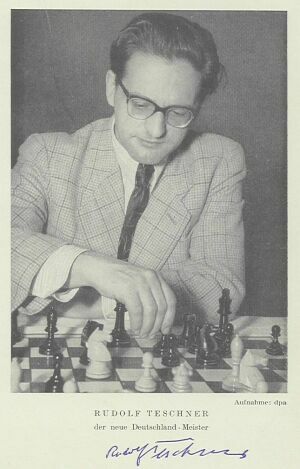 Knud Hannemann is another legend of chess problems. He wrote an anthology of his chess problems: "The Danish wizard: one hundred chess problems of Knud Harald Hannemann selected by their author". A classical threemover with theme AntiBristol. Adriano Chicco is the author of over 500 problems and IM in chess composition. He took care of the Problems section of L'Italia Scacchistica during 16 years. White threatens a double check. The battery front piece aims on a unguarded field F. Black parries by interposing on the double check line by a figure that also opens a guard line to F by line opening. The parry introduces any error. You can find an example here. Star of the White King. 3 pairs of thematic variations: one with the capture of a pinned white piece, the other with its unpinning. Built on the theme of a recent WCCT.